Dr.K.P.Madhusoodhan Panikar presented a paper on “Miasmatic approach in treating bronchial Asthma” and Dr.R.Gnanasambandam presented his audio visual presentation on "Scientific Understanding of Miasms" with illustration of some cases. 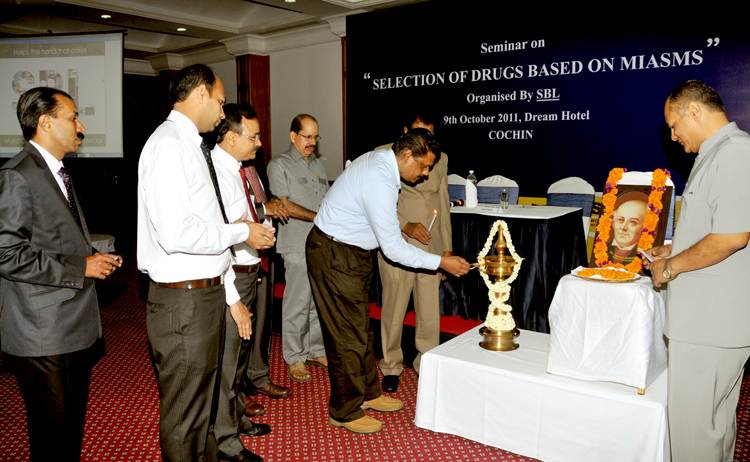 Dr.Beena Thomas, HOD R&D SBL spoke on the “Importance of Quality control in manufacturing Homoeopathic Medicines”. Mr.V.B.Shukla Sr, DSM proposed vote of thanks. About 250 delegated participated in the seminar.